Thank you, I browsed earlier, but the shirts were not listed in the BB shop link. Weird. Will order now! Yeah the link shows Bestial Burst releases that HH has in stock. RFR shirts were released by Hell´s Headbangers. Since there is designs for both RFR albums in t-shirts, are there any plans for Thy Horrendous Yearning hoodie also by Hells Headbangers? Next Bestial Burst releases in presses right now: PYÖVELI (FIN) - Not a God, Just an Executioner LP, CAEDES CRUENTA (GRE) - Skies Daimonon LP and GOATMOON (FIN) - s/t extended edition digipak. 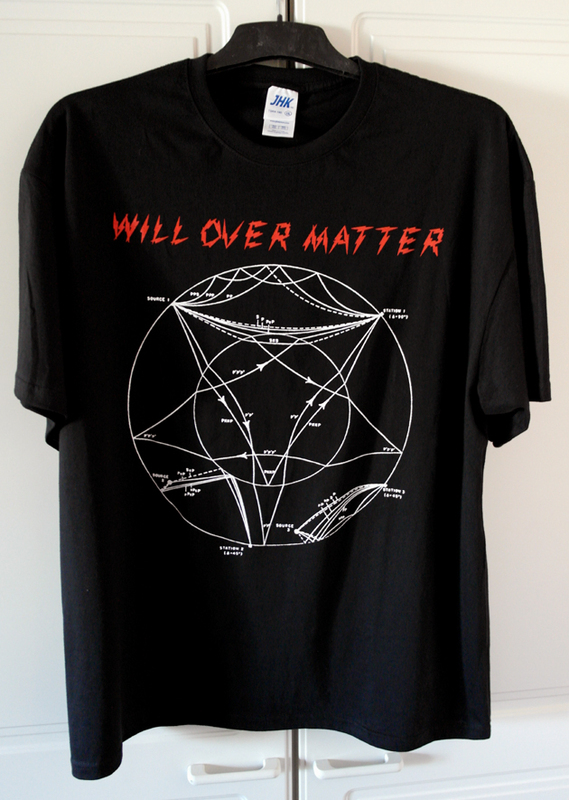 Got to say I have really enjoyed the latest Will Over Matter album. Simple, minimal, hypnotic. Sent them a design for Thy Horrendous hoodie too. I did them a bunch of RFR designs and it´s up to them what of those to release and when. Maybe someday... and maybe we´ll do some ourselves for next year´s RFR shows. Great you like it. Seems to be strictly a "love or hate" release, especially the last song First Not Fourth. But that´s my own favourite WOM track so far. Tickets 8 eur. Noise starts at 9 pm. Charity Saints tapes in stock now at Analog Worship. Sold out from the label: (BeBu-032) GOATMOON (FIN) / RIDE FOR REVENGE (FIN) - In the Spirit of Ultimate Sacrifice digipak CD, (BeBu-093) CHARITY SAINTS (FIN) - s/t cassette (download still available). Distributors may still have copies, so hurry up. That Charity Saints tape is good stuff. It's been some while since I've heard stuff like that made so interestingly. Recommended! New RfR is a good one, although not my favorite from them. Nonetheless, a must buy. Goatmoon, Caedes Cruenta and some other recent Bestial Burst releases are now available through Iron Scourge. Copies of a bunch of Bestial Burst titles are in stock now at Analog Worship, including Goatmoon 7", Oksennus LP, Hail Conjurer tape, both Caedes Cruenta LPs and more. I'll have copies of the Valhalla Bound tape in the near future as well.